Michael F. Richards is a native of California. After graduating with a B.S. degree in Animal Science from the University of California, Davis, in 1975, he began his banking career with Crocker Bank as an Agricultural Loan Officer Trainee in Fresno, California. Rising through the ranks quickly and moving to several branches, he became Branch Manager in Marysville, California, opening a new bank for Crocker Bank. In 1984, he moved to Billings, Montana, taking a job with First Bank as a Vice President Commercial Loan Officer. He was appointed to the Loan Committee, reviewing all loans prior to being presented to the Board of Directors. Recognizing his abilities in the Loan Committee, the Regional Director for the State of Montana, requested that he organize a workout department for First Bank System in Billings, Montana, under the name First Bank Systems Credit Services. He was appointed Vice President/Site Manager of the newly formed department, hiring four loan officers and two administrative assistants and assigned a large problem loan portfolio from numerous First Banks in Montana. After several years and many successes, the department was phased out. Not wanting to relocate to another state within the First Bank System, he took a position in Bozeman, Montana, with Montana Bank. He was responsible for Montana Bank of Bozeman and Livingston over the next two years. Beginning in 1989, he entered the field of Independent Community Banking, as an Organizer and President of Big Sky Western Bank in Big Sky, Montana. He started the bank and operated it for 12 years. In 1999, the bank was merged into the Glacier Bank System where he stayed as President and Director until 2001. Over the next several years he helped Mountain West Bank and Heritage Bank establish their new banks in the Bozeman community. In 2004 he began organizing and founded Bank of Bozeman, opening the bank in 2005. 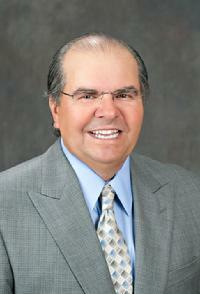 He continued as the President/CEO and a Board Director until 2009. In 2009, Michael F. Richards began his consulting and financial expert witness career. He has qualified as an expert witness and litigation support specialist and has given expert witness testimony as a financial and banking expert witness nationally for both plaintiffs and defendants. Through August 2018, he had been retained by attorneys in 34 states and over 100 cases as a financial expert witness. He has extensive experience in writing expert witness reports that meet Federal Rule of Civil Procedure 26. He has qualified and testified in arbitration, as well as Federal and State courts. He has given testimony in a criminal white collar case against the United States of America and provided expert reports for Bankruptcy Fair Interest Rate calculations. He has also been retained in cases involving the Federal Deposit Insurance Corporation (FDIC).